Luxembourg is a tiny country located in the Western Europe. Luxembourg official name is the Grand Duchy of Luxembourg. Luxembourg borders Belgium to the west and north, France to the south, and Germany to the east. 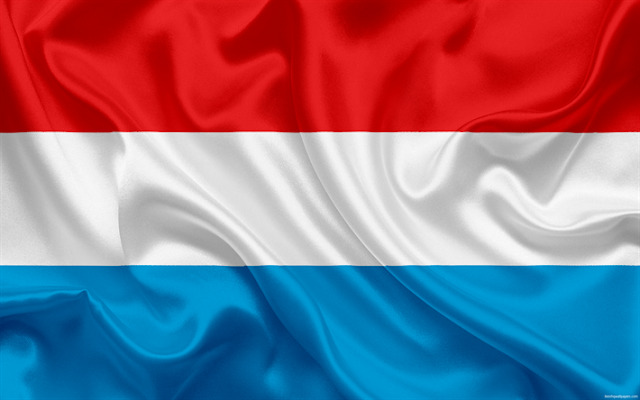 Luxembourg have three official languages: French, German, and Luxembourgish. The country is spread over the area of 2,586 square kilometers (998 square miles). As of 1 January 2016, the population of Luxembourg was estimated to be 555,684 people. The city of Luxembourg is the capital of the country of Luxembourg.Built amid deep gorges cut by the Alzette and Pétrusse rivers, it’s famed for its ruins of medieval fortifications. Luxembourg is the world’s only Grand Duchy. This means that it is a representative monarchy with a Grand Duke as head of country. The ruler is Grand Duke Henri. The fortifications of the Old City of Luxembourg and its ancient quarters have been part of the UNESCO Cultural World Heritage since 1994. Amid plains and woods, strewn with lakes and rivers, Luxembourg’s natural landscapes are enchanting as well as fascinating. Nature in Luxembourg also means to discover unexpectedly a picturesque village, a mysterious ruin or just a breathtaking landscape behind every curve. Little Switzerland is a nickname for a region in the east of Luxembourg.Little Switzerland is thought to have similar terrain to its namesake country, hence the name; it is dominated by craggy terrain, thick forests, some caves and myriad small streams. Kneiff is a hill in the commune of Troisvierges, in northern Luxembourg, near the tripoint shared with Belgium and Germany. At 560 meters, it is the highest point in the country; it is 1 m taller than Buurgplaatz, which is often incorrectly considered Luxembourg’s highest point. The castles and the ruins of the fortress are among the main tourist destinations of the Grand Duchy of Luxembourg. Of the 109 identified castles in the Middle Ages, 76 have more or less survived the ravages of time. Luxembourg has more than 150 banks. Luxembourg is the second richest country in the world with an average GDP per capita of $90,333 or EUR 80,410 (in 2015). Luxembourg has the highest minimum wage in the EU – paying workers a minimum of EUR 1,923 ($2,167) per month. Nearly half of Luxembourg’s workforce commutes to work in Luxembourg from another country. Nearly 40% of the population of Luxembourg are immigrants; 15% of them are of Portuguese origin. The largest wine list in the world is currently at Restaurant Chiggeri with 1,746 options in Luxembourg City, Luxembourg! Luxembourg sells the most alcohol in Europe per capita.However, the large proportion of alcohol purchased by customers from neighbouring countries contributes to the statistically high level of alcohol sales per capita; this level of alcohol sales is thus not representative of the actual alcohol consumption of the Luxembourg population. Perhaps the most traditional of all Luxembourg meat dishes is Judd mat Gaardebounen, smoked collar of pork with broad beans. The pork is soaked overnight, then boiled with vegetables and spices. Served in copious slices together with the beans and boiled potatoes, it is considered to be the national dish of Luxembourg. Luxembourg shares the Moselle valley with Germany and the local white wines are well known and popular. Like other northern European countries, Luxembourg also produces popular brands of beer. The average person in Luxembourg has just over one-and-a-half mobile phones. It is famous in Europe for its largest radio and television stations: Radio 5. Luxembourg, the RTL Group of Luxembourg. It runs 34 television and 33 radio stations in 12 countries which comprises of M6 channel in France and Channel Five in the United Kingdom.